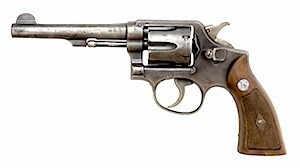 44 special ammo was among the first smokeless cartridges introduced to American shooters by Smith & Wesson in the early 1900's. 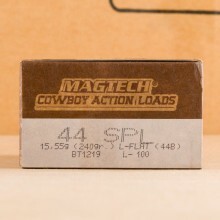 A popular choice among cowboy action shooters, 44 special ammunition has enjoyed a resurgence of sorts over the past few decades as shooters flock to the revolver round. Imagine a time in American history when black powder handgun rounds were considered “top-shelf” calibers. Then, imagine your excitement as a company called Smith & Wesson introduces a new smokeless powder cartridge called the 44 Special promised improved ballistics over everything else on the market. It was a magical time to be a revolver fanatic and if you’re nostalgic, there’s plenty to still get excited about with 44 special handguns. 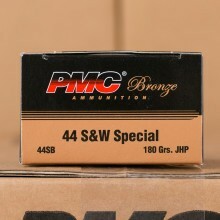 With less recoil than the 44 Magnum cartridge, 44 Special is seeing a bit of a resurgence of late amongst recreational shooters. Reduced velocity and recoil offer a less punishing experience for target shooters with delicate hands or those who like to shoot for hours on end. 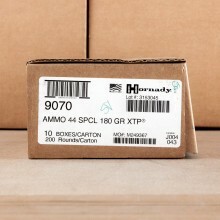 With a good reputation as an accurate round, there are plenty of reasons to lean toward 44 special over some of the more recently designed cartridges out there. 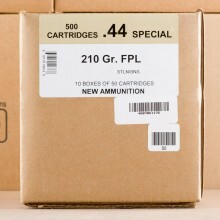 In fact, in terms of ballistics you can find 200 grain full metal jacket (FMJ) .44 special ammo that travels under 900 feet per second. Want to go bigger? The 246 grain bullet generally travels at fewer than the 800 feet per second, which is a slow waltz compared to some of the handgun speeds you’ll see from more modern calibers. But that doesn’t mean the 44 special doesn’t have its place among a modern shooter’s collection. It does. 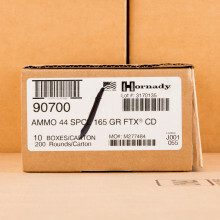 A difficult round to keep in-stock, look for 44 Special ammo available from Federal, Hornady, Speer and Winchester here at AmmoMan.com.